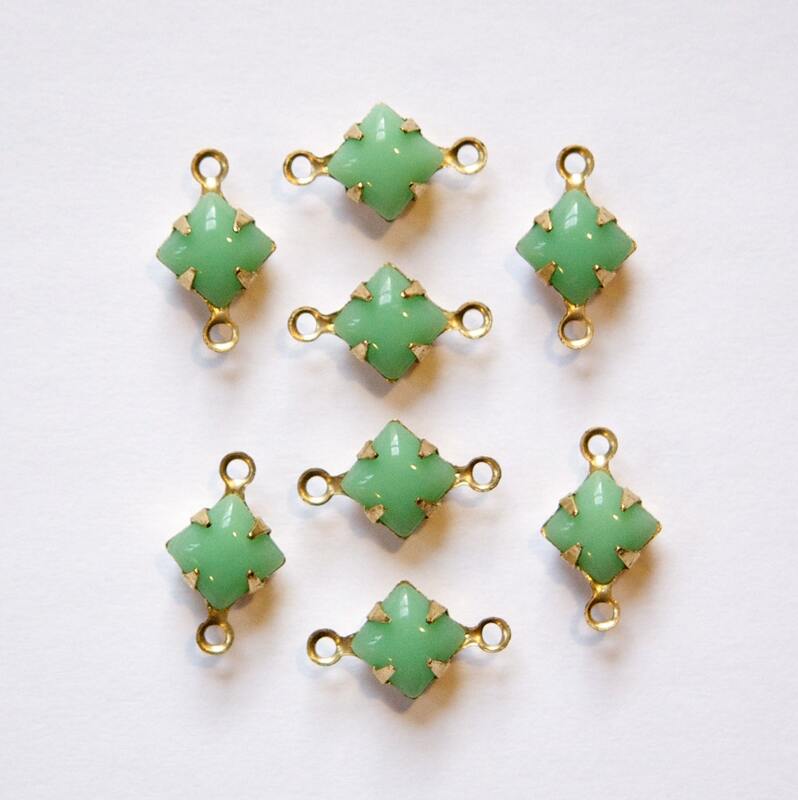 These are vintage opaque green square stones set in a two loop brass setting. These measure 6mm square. You will receive 8 pieces. All is Perfect!! Delivery on time. Thanks! !